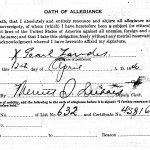 An index of naturalization records pointed me to a potential record number for Pearl Jaruslawitz/Jereslawitz Landes’s naturalization in the United States. I ordered the naturalization documents from the National Archives regional center in Chicago, and received the package in seven days. The information included confirms that the record pertains to the Pearl Landes who would be my great grand aunt. 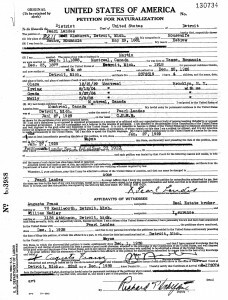 I mentioned a few weeks ago that I re-evaluated some handwriting which led me to a different conclusion about Pearl’s children with Martin Landes, but these documents helped clarify even more details. 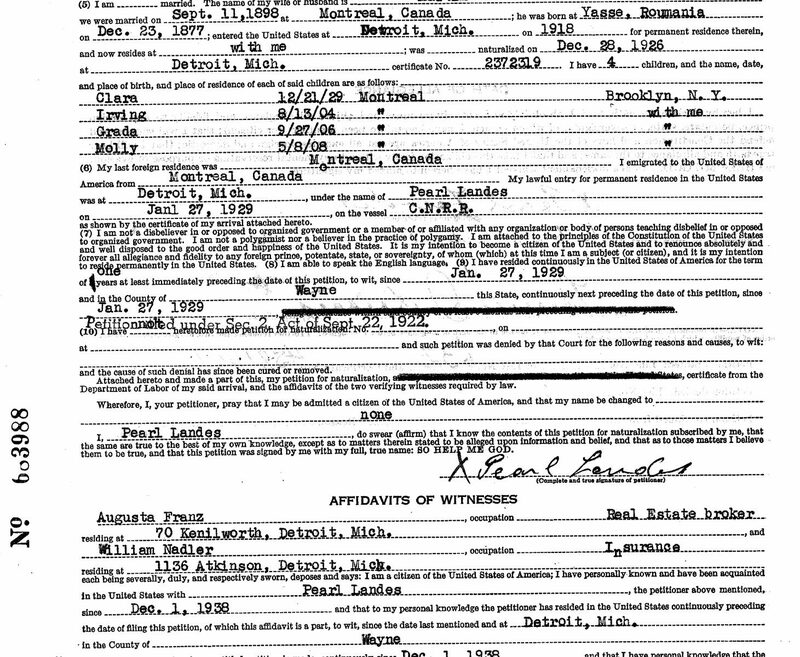 I previously determined that a Canadian birth record indicated Pearl had a son on 1 June 1903 named Isack or Isaac. I was already familiar with a son born around 1904 with the name Isadore, Irwin, or Irving. I assumed that Isaac was yet another alternative name for the same child. 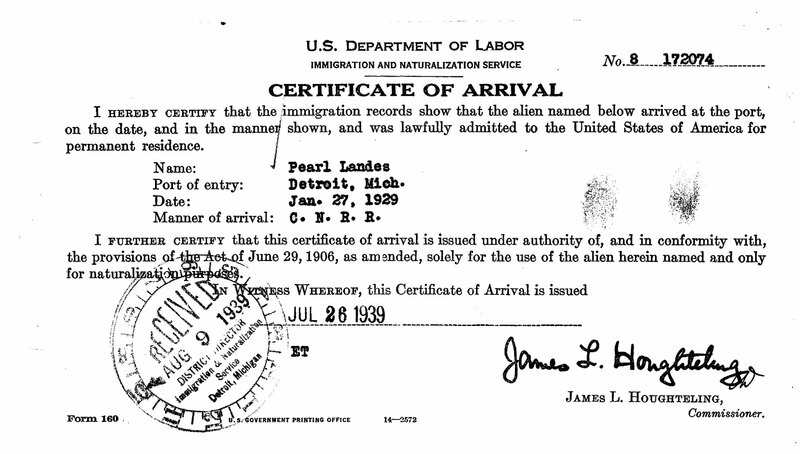 The naturalization documentation is the first piece of evidence to provide a specific date of birth for this child (listed in Pearl’s Petition for Naturalization as Irving). This date of 13 August 1904 is too far removed from the Isaac’s recorded birth of 1 June 1903. If I can trust these dates of birth, Isaac and Irving are two separate individuals, but I’m still not sure. The document lists only four surviving children, which excludes both Isaac and Lillie, the two children whose only evidence I’ve found so far are the Montréal birth records. 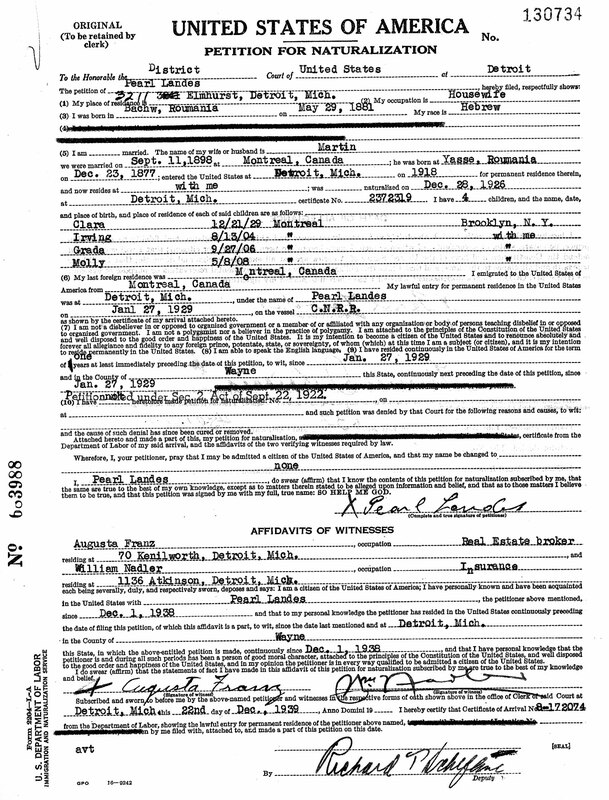 A Michigan death record for Irwin Landes, recorded in 1981, also offers a birth date of 1 June 1903, which would have been Isaac’s birth date. A census record indicates Isadore was born in August 1903. It’s a confusing mess. 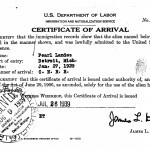 The documents indicate Pearl arrived in Detroit via the C.N.N.R. — Canadian National Rail Road. Prior to moving to Detroit, she and her family lived in Montréal, Canada, and before that, they immigrated from Romania. 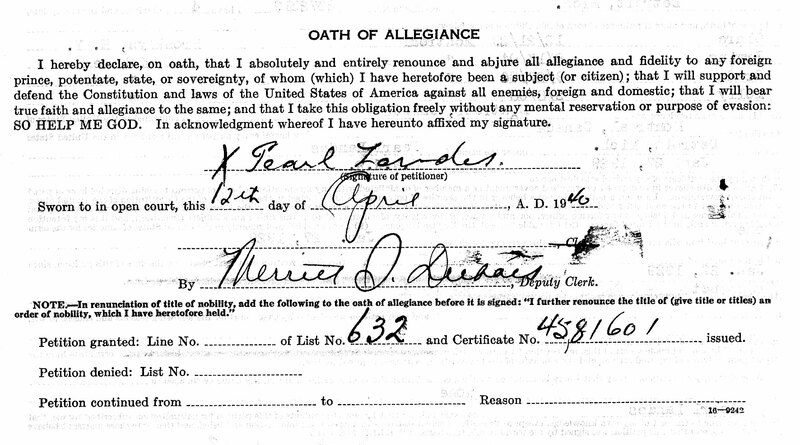 The Petition for Naturalization also pinned down Pearl’s date of marriage to Martin.